Caloosa Jeepers is a family oriented Jeep club located in Southwest Florida with members in Ft. Myers, Cape Coral, Lehigh, Estero, Naples, North Port, Punta Gorda, and Sarasota, to name a few. Your level of 4×4 experience does not matter, just that you enjoy hanging out with good friends that enjoy the same passion: JEEPS! Caloosa Jeepers is a Southwest Florida Jeep club. We are a family-organized group that loves to give back to the community. Our club began in February of 1998 and continues to grow to well over 150 members each year. It does not matter what level of experience you are at or what year your Jeep is, or if your Jeep has been modified or not. Our trail rides are fun, easy going, challenging (if you want them to be) and a downright good time for all. We all share a common interest and in doing so when one of us gets “stuck in the mud”, we unite together and work as a team to help resolve the problem and remedy the situation. Since 1941 Jeep has been a respected name in the off-road and military industry. If you have never owned a Jeep or have owned a Jeep and never experienced all that a Jeep has to offer or you find yourself wondering about the capabilities of your Jeep, we are the club for you. 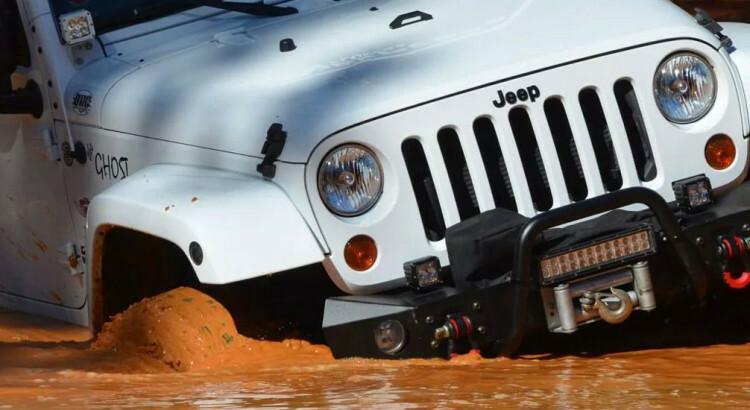 Our members are true Jeepers and some of the best and most knowledgeable in the field. Our club is one of the largest clubs in the state of Florida covering a territory from Bradenton down the western coastline to Miami with members in Polk, Manatee, Sarasota, Charlotte, Lee, Collier and Miami-Dade counties. All Jeep Models are welcome! If you and your family would like to come check out our club, you are welcome to stop by one of our next events. With every new paid membership, you will receive a gray Caloosa Jeepers tee shirt and two 5″ round Caloosa Jeepers stickers. You will also be granted access to the members only section of our website and will be added to our private Facebook group. 2. Once I join, how do I get involved? Once you join, check out the Event Calendar and come join us. It’s that simple. When you arrive at an event or gathering, speak to any of our members, introduce yourself, and join in the fun! 3. Where does the club ride? Club rides can be in a variety of places in South Florida. Our favorite playground is at Lazy Springs Recreational Park. Other rides could be through our state parks out at Big Cypress National Preserve or Cecil Webb Wildlife Management Area. We also scout trails all throughout southwest Florida where off road riding is legal on public land. 4. My Jeep is stock. Can I still participate and enjoy the rides? Absolutely! Our members own Jeeps of all models and levels. Some are straight off the dealer’s lot and others have been undergoing modifications for years. During a ride, if you feel you do not have the clearance or experience for a particular obstacle, simply go around it, because trust us, you won’t be the only ones! We also have various levels of Jeeping experience levels in the group. If you are a new owner and need 4 wheeling tips, we have a lot of members who would be more than happy to assist and give some advice. 5. Where can I find upcoming events? Check out the Event Calendar for the latest events. 6. I am having problems with my Jeep. Can anyone help tell me what is wrong? If something is not right on your Jeep, odds are very good it has happened to anyone of our 150+ members who would love to share their experiences and knowledge. All you have to do is ask at one of our meet and greets or post your question on our Facebook Group. 7. Does the club ever attend events outside of Ft. Myers? There are two large Jeeping events in Florida that many of the club’s members attend as a group. These are Jeep Beach in Daytona, usually held in April and Jeeptoberfest in Ocala, held in October. 8. How is the club governed? The club is a registered not-for-profit corporation with the State of Florida and has 4 elected officers: President, Vice President, Secretary, and Treasurer. We also have various members that volunteer for committee chairs such as maintaining our calendar, charities, and coordinating off road rides. The club’s bylaws can be found here.